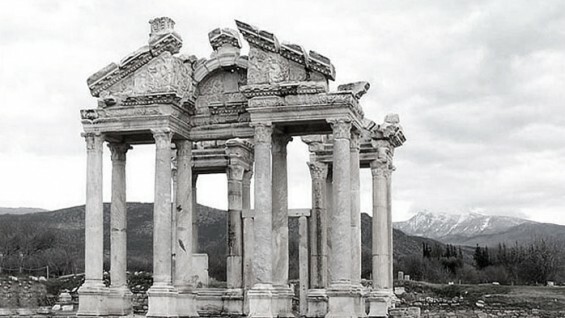 "Excavating an Ancient City - Life and People of Aphrodisias"
Alexander Sokolicek is the Field Director of the excavations of Aphrodisias, Turkey, a dig under the auspices of the Institute of Fine Arts, NYU. As a Classical Archaeologist he focuses on the study of humankind's adaptation to the environment: how did people live? what choices did they make? what can the study of mankind tell us about ourselves? Dr. Sokolicek studied Classical Archaeology and Ancient History at the University of Vienna (PhD 2003). He has participated in several archaeological excavations, especially in Italy (1995-2008), Ephesus, Turkey (1997-2011), Antioch in Pisidia (2010-2011), and now Aphrodisias on which he will report in his lecture.